*Less sugar compared with previous recipe. Store in a cool, dry place., Best before: see side of pack. Take a break and enjoy one the Kenco way. 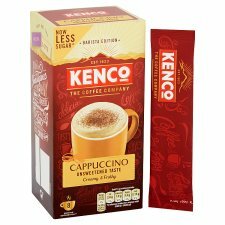 Blended to be just the indulgence you're after, it's simple to whip up a fabulously frothy and creamy cup. Sprinkle a little chocolate or cinnamon on top for an irresistible moment. Go on. You deserve it. 1. 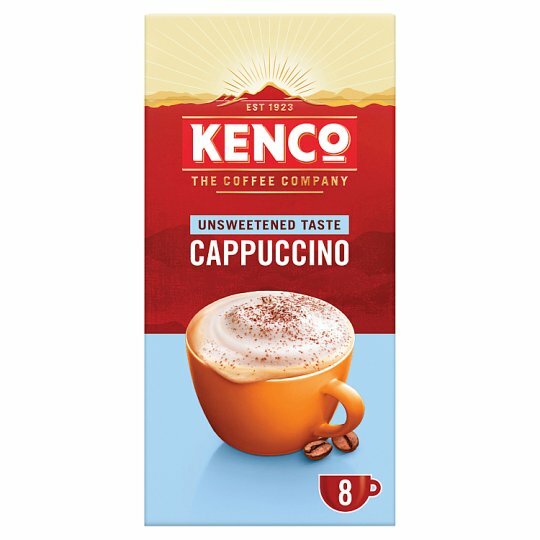 Indulgence begins with one sachet of Kenco Cappuccino. (Empty it into your favourite mug). 2. Pour in 200ml of hot (not boiling) water. 3. Stir heartily until you get a creamy, dreamy froth. (A little extra makes it even better).